Seriously. 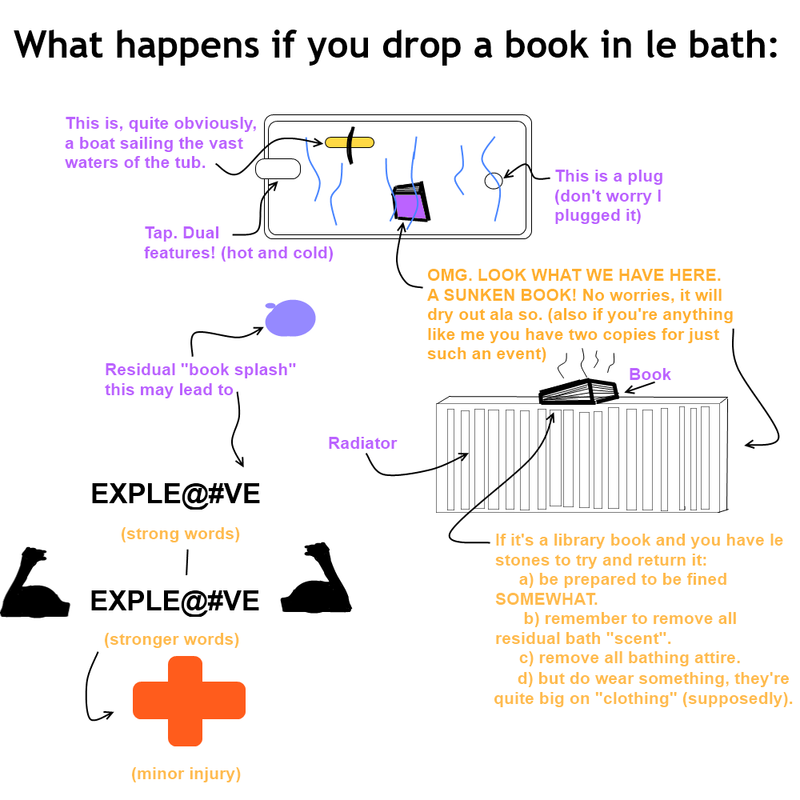 Bath readers will never abandon the book. We are finnnee, at least for the moment. 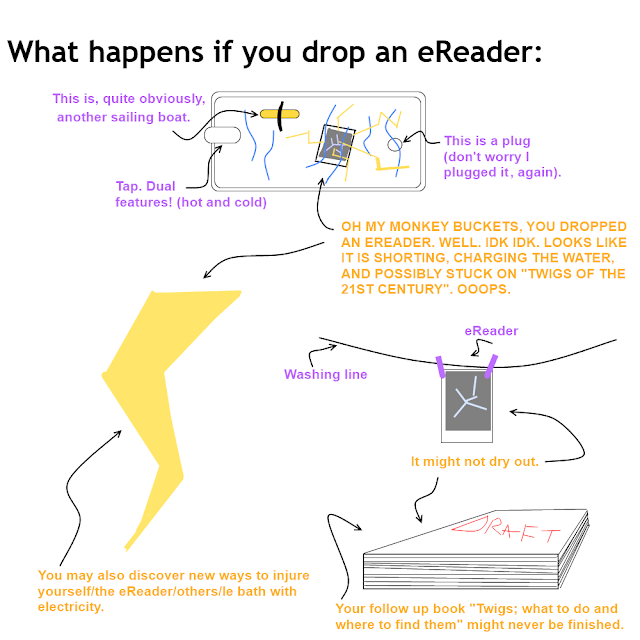 I mean, when they invent a waterproof eReader things will get interesting but until then! Stay safe! Any other issues you've noticed with either type of reading platform? I find when reading in bed? If I drop a book on my face after accidentally dozing off it totally wakes me up whereas an eReader hits me and I just snooze away. Also, books are probably the only reason I have (a tiny amount of) upper body strength. Um.